The local Parish is covered by a number of GP Practices based in Northwich, Weaverham and Frodsham. The most popular, and the only one with a local Surgery (on Weaverham Road, Sandiway), is Danebridge Medical Centre. This page refers only to the Danebridge Patient Participation Group (PPG) - other GP Practices will have their own PPG groups and should be reached through their websites / offices. The PPG, sometimes also known as the PRG (Patient Reference Group), continue to work with the Practice for the Practice. 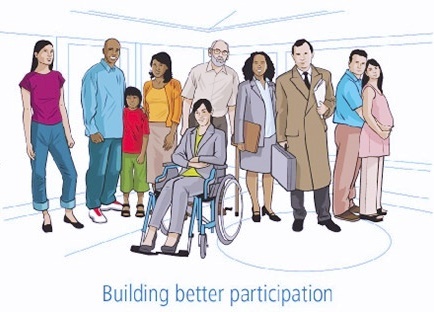 The PPG is a committee of voluntary patients who support the work of the practice – this unique partnership between patients and their practices is essential to achieving high quality and responsive care. The Danebridge committee meet monthly along with practice representatives to discuss matters arising and to discuss on-going suggested improvements within the practice. From 1 April 2015, it has been a requirement in the GP Contract for all practices to have a PPG. Regular communication with the patient population. Press here for the "SUGGESTION BOX"
Minutes of the PPG meetings are listed here: www.danebridge.org.uk/prg-minutes and other information here: www.danebridge.org.uk/patient-reference-group-prg.